The Anglican Church of the Transfiguration is a growing Anglican Church parish in the Anglican Diocese of Pittsburgh. We are located in Elizabeth, Pennsylvania. Our parish was formed over 100 years ago in the Episcopal Diocese of Pittsburgh. 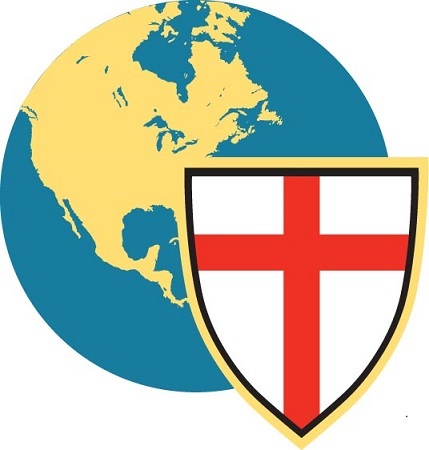 We left the Episcopal Diocese of Pittsburgh and The Episcopal Church of The United States and united with the Anglican Diocese of Pittsburgh and the province of The Anglican Church of North America; part of the world-wide Anglican communion. We believe the Holy Bible is uniquely inspired by God and support this Holy Scripture to be as such. Its teachings are paramount to our worship of Our Lord Jesus Christ. It is inspirational to us and we pray that others will read it and also find it to be so. Love is patient, love is kind. It does not envy, it does not boast, it is not proud. It is not rude, it is not self seeking. It is not easily angered; it keeps no record of wrongs. Love does not delight in evil but rejoices with the truth. It always protects, always trusts, always hopes, always preserves. Love never fails. But where there are prophecies, they will cease,where there are tongues, they will be stilled, where there is knowledge, it will pass away. For we know in part and we prophecy in part, but when perfection comes, the imperfect disappears. When I was a child, I talked like a child. I thought like a child, I reasoned like a child When I became a man I put childish ways behind me. Now we see but a poor reflection as in a mirror, then we shall see face to face . Now I know in part; then I shall know fully, even as I am fully known. The Church of The Transfiguration in Clairton, PA had a beautiful hand painted mural of "The Transfiguration" behind the alter. Lil Gergley and her family have been searching for a gift to our new church to honor John Gergley and Joseph and Winifred Hall (Parents of Lil). They played an instrumental part in establishing the foundation of the church in Clairton. 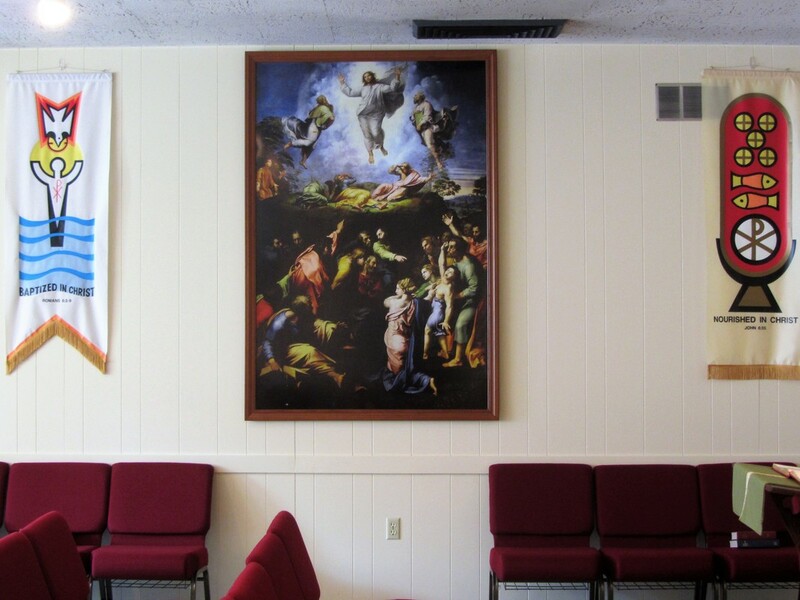 It was decided that a picture of "The Transfiguration" was needed in our new church building. Our congregation, as stated above, is strong in our belief that the bible is uniquely inspired by God. The bible also teaches us to love and help one another. One young member of our congregation does just that. Samantha Studvick has achieved much in her years as a member of Transfiguration Church. She is the daughter of Mike and Denise Studvick. In her earlier years, she has obtained a black belt in HAPKIDO martial arts by the age of eleven. “Sam” is a graduate of Elizabeth Forward HS and played in the HS band and orchestra, as well as participating in track and long distance running. She also performed acolyte duties throughout her teenage years. “Sam” presently is a senior at Abilene Christian University in Abilene, Texas (ACU). She will graduated this past spring and will move on to Medical School in San Antonio, Texas in the fall. In addition to all these proud accomplishments, Sam has spent two annual trips to Haiti as a member of a medical mission from ACU and a recent trip, in early July, for a similar trip, between graduation and the start of Med school, to Honduras in Central America. We are proud of Sam – no more then her parents, and wish her God speed in her future endeavors.